The Bolt Action rulebook contains six scenarios that allow you to fight out World War II battles. 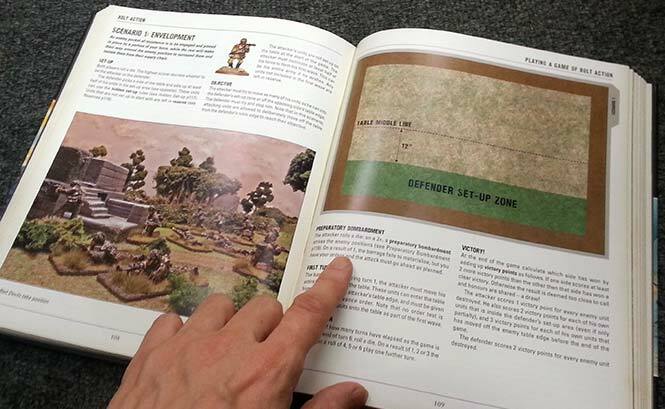 Each scenario explains how to set up the battlefield, where to deploy your forces and the objectives required to win the game. 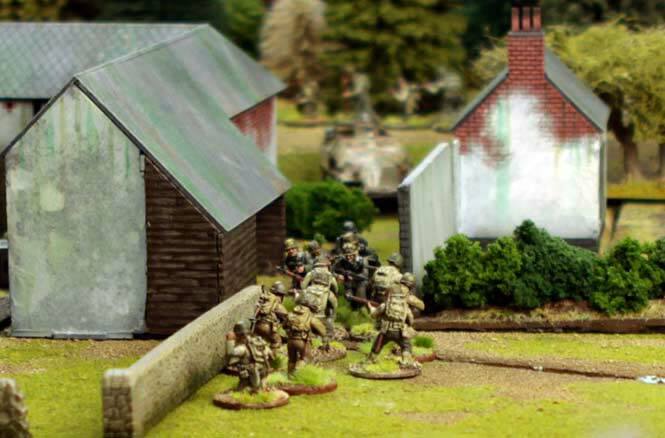 Each Bolt Action scenario has its own rules for setting up your armies for the battle. Typically, some models will be deployed on the table while others are kept in reserve ready to enter the battlefield later in the game. 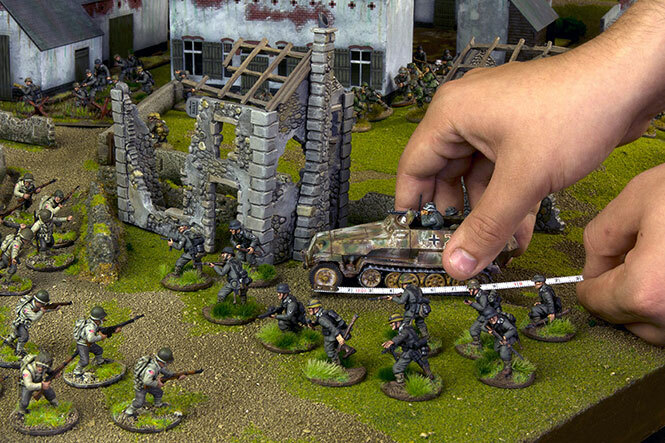 Bolt Action uses a special Order Dice system to decide which player can move or shoot with one of their squads. That player chooses which squad to use and then another dice is drawn. This means you can never be entirely sure how events will unfold on the battlefield. 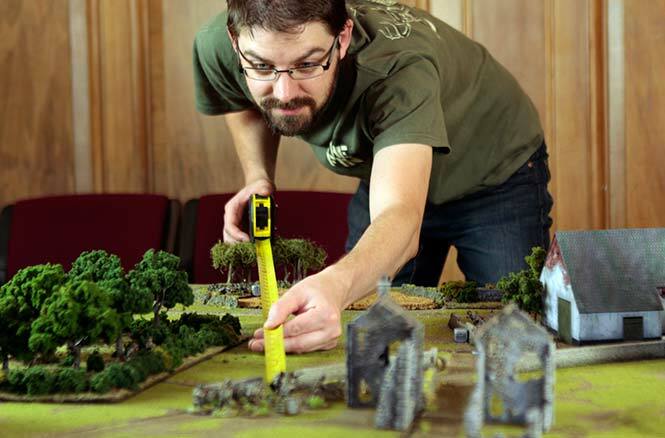 Movement around the battlefield is measured in inches with a ruler or tape measure. Squads of men keep together as they move, each figure staying within an inch of a squadmate. Roads allow vehicles to go faster, while rough terrain and obstacles can slow models down. Each type of gun has a different maximum range - obviously a big howitzer can fire much further than a pistol. 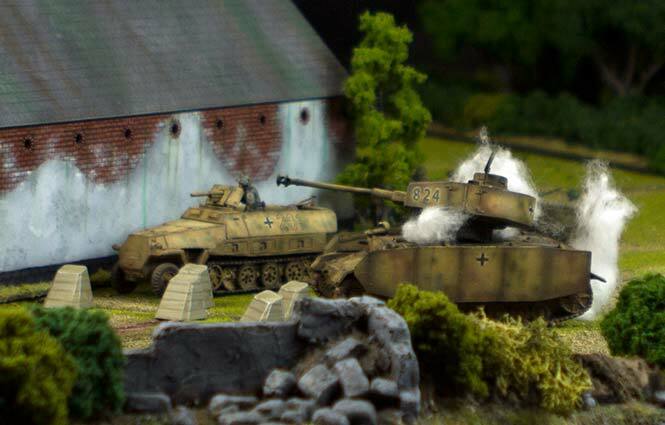 Once your models are in range, you can open fire, rolling dice to find out the results. Weapons that fire lots of shots, like machine guns, give you extra dice! If your troops can survive the approach, they can charge in and fight the enemy at close quarters. Only one side can remain at the end of the fight - the other side dead or fleeing for their lives. Each battle scenario in the rulebook details how you decide who has won. This may mean destroying enemy units, holding a particular area on the battlefield or even blowing up a key building.